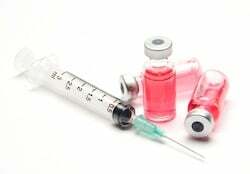 Vaccinating pregnant women with Tdap in the latter weeks of pregnancy increases immunities in maternal blood which then pass on to the newborn. Recently, suggested changes to maternal immunization guidelines suggest all women be vaccinated with Tdap in every pregnancy, but Tdap is not the only immunization currently being investigated. Researchers from the University of London suggest other vaccinations could provide additional infection protection for the newborn when administered during pregnancy. Vaccinating during pregnancy increases immunoglobulin G (IgG) antibodies against the targeted infection. The increase in IgG antibodies crosses the placenta, increasing the antibodies protecting the fetus/newborn against infection at birth. Tdap guidelines have been changed in recent months, but vaccinations for group B strep andRSV (respiratory syncytial virus)are also on the agenda. Researchers note there are various factors that impact maternal absorption and uptake of the vaccine. These factors should be taken into consideration. Source: Lindsey B, Kampmann B, Jones C. Maternal immunization as a strategy to decrease susceptibility to infection in newborn infants. Curr Opin Infect Dis. 2013 Mar 15.